Imagine a home with 27 stories worth 1 billion dollars boasting several roof gardens, a private theatre, a ballroom, a private parking garage for several hundred cars, guest quarters, staff quarters, a tennis court, a two-story gym, several pools and a helicopter pad equipped for three helicopters. 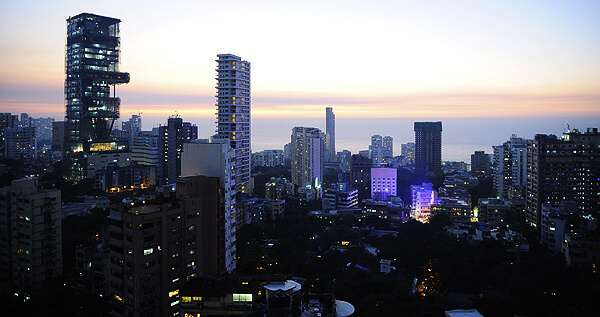 It was built just last year in the Indian city of Mumbai. This 21st Century tower of Babel is home to India´s richest, and world 4th richest man Mukesh Ambani. He lives there with his wife and three children. It is hardly a home anymore with more, much more, floor space than the Palace of Versailles, but it was built as a private residence…. 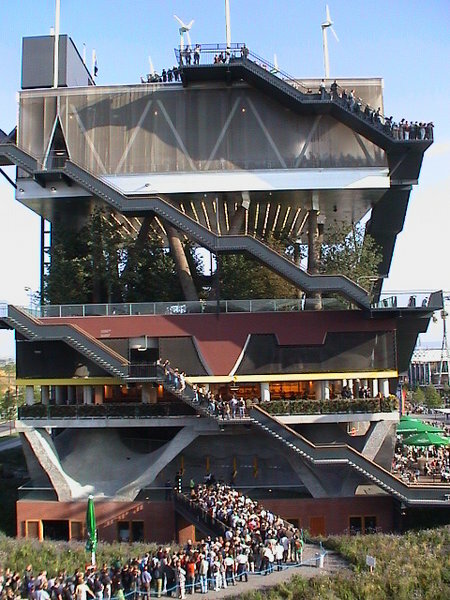 Some critics say architects Perkins & Will were a bit too inspired by the work of Dutch architecture firm MVRDV. Their Dutch pavilion for the 2000 Hannover Expo looks quite similar. Do you agree? This entry was posted in Homes of the rich and famous, See how others live and tagged Antilia, biggest home, Hannover 2000, Home, India, Mukesh Ambani, Mumbai, MVRDV, Pavilion, Perkins & Will, richest man, world, world's most expensive home. Bookmark the permalink. Pingback: $450.000 kitchen | Home voyeurs.. we ALL do it!